(RxWiki News) Your smartphone may keep you up to date with your friends and the latest news, but it may also just keep you up at night, a new study found. 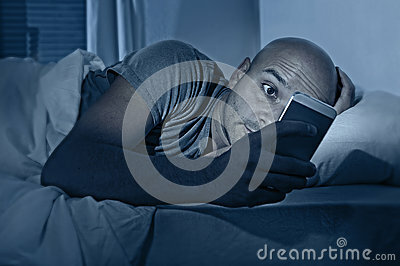 People who used their smartphones more were more likely to have problems with sleep, according to this University of California, San Francisco, study. The researchers behind this study looked at 653 people's smartphone use by having them install an app that measured how many minutes the phone was in use each hour over a 30-day period. They also measured participants' sleep time and quality. Study participants averaged 38.4 hours of smartphone screen time over the 30-day period and 3.7 minutes each hour. Those who used their smartphones more on average reported in a survey that they had less sleep and reduced sleep efficiency than those who used their smartphones less. The study also revealed those participants who used their phones closer to bedtime had reduced sleep efficiency and difficulty falling asleep. These researchers concluded that smartphone use could have negative effects on sleep, but they warned that their findings don't necessarily establish cause and effect. This study was published in PLOS One. This study was funded by the Office of Behavioral Social Sciences, National Institute of Biomedical Imaging and Bioengineering, National Institute of Neurological Disorders and Stroke, National Heart, Lung and Blood Institute, and National Institute on Alcohol Abuse and Alcoholism. Two study authors worked for Ginger.io, a counseling, therapy and life-coaching service.